Children with autism may struggle with a wide range of challenges, from social skills deficits to behavioral issues . Often, a child with autism also exhibits speech and language deficits. These challenges range from mild to severe; a child with autism may have trouble with the social context of language, for example, or he or she may be entirely nonverbal. Here is a quick overview of some of the language difficulties your child may face and how speech therapy can help. Every youngster experiences autism differently. In general, however, children with autism often have trouble with pragmatic language skills. These refer to the use of language within the context of social interactions. For example, a child may struggle to use and interpret facial expressions, body language, and gestures. Sometimes, parents describe the child’s speech as “robotic” or “high-pitched.” It’s also quite common for a child with autism to have previously exhibited proper language acquisition, but then later “lose” words. You might notice that your child has trouble asking for needs and wants, following directions, and answering questions. Communication is an essential facet of everyday life. By working with a therapist, your child can learn how to interact with his or her peers in academic and social settings. Speech therapy can also greatly improve the quality of life for your entire family by reducing frustration. Speech therapists can help children with autism in a number of different ways. Children with very limited speech can learn to use augmentative and alternative communication (AAC) devices. An AAC device is any high-tech or low-tech means of communicating nonverbally, ranging from sign language to electronic devices. These devices lend themselves to improved speech and language development. 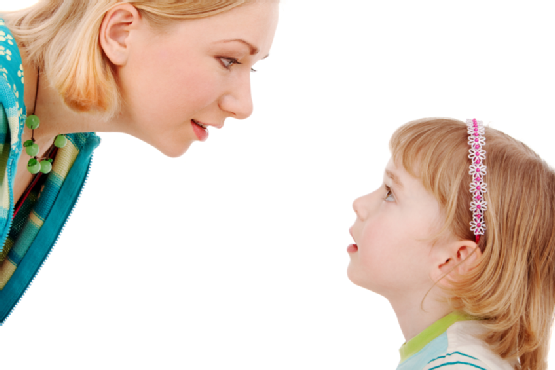 Therapists can also help children learn the social cues of a conversation, such as facial expressions. The highly skilled therapists at The Behavior Exchange can work with your child in one-on-one and group sessions to help him or her develop critical speech and language skills. If you would like to learn more about our program, please call (972) 312-8733 to speak with a friendly representative. We also invite parents in the Plano area to visit our website to explore our behavior classes and Applied Behavior Analysis (ABA) techniques.